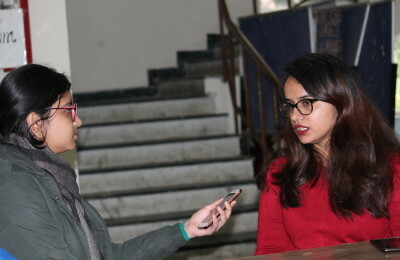 In a press conference held at the Bar Council of India office on August 21, 2016, Manan Kumar Mishra, the chairman of the BCI, announced that the reduction of seats in Delhi University’s Faculty of Law and the scrapping of evening classes will be implemented from the next academic year, an announcement that has come to the relief of several Law aspirants who had been affected by the delay in admissions and the sudden move of cutting down seats in DU’s Faculty of Law. According to the BCI, DU’s law faculty was flouting several guidelines with respect to the infrastructure required for the intake of the number of students the faculty takes in and the timings of these classes. The Law Faculty’s intake of students is close to 2300, when it should be 1440 according to the BCI guidelines. The faculty also holds classes in the evening, which the BCI claims is a violation of the Legal Education Rules. In the interest of the students who had applied to and appeared for the LL.B entrance for the year 2016-17 knowing the seat availability of 2310 during the time of their application, the BCI has given Delhi University a one-year relaxation for the current academic session. The three Delhi University centres will be allowed to take 767 students each, which adds up to the total of 2310 seats as originally advertised by the University. From the academic session 2017-18, the University can only take in 480 students per centre. No evening classes will be held starting from the next academic session. Other points discussed in the meeting pertained to the timings of the classes for the incoming as well as the existing batches such that the 5.30 hours of class time are covered. For the incoming batch of 2016-17, classes in the Law Centre-I will be held from 8 a.m. to 1.30 p.m. and in Law Centre-II from 2.00 p.m. to 7.30 p.m. The existing batches of second and third year students of Law Centre I and II will be allowed to take classes till 9.30 p.m. In the current academic year, Law Centre I and II will operate out of Faculty of Law’s new campus while the Campus Law Centre will operate from its current campus only. Law Centre II will shift to a new location from the next year, and the Campus Law Centre will shift to the new campus in North Campus to operate alongside Law Centre I.
Counseling for admission in the Faculty of Law, which was being delayed due to the tussle between the University and BCI, is likely to start soon.